Abu Dhabi, 5 March 2019: Marking the next step on its international expansion agenda, ANAROCK Property Consultants has announced the launch of its dedicated office in Abu Dhabi, the high-profile capital of the United Arab Emirates (UAE). ANAROCK Abu Dhabi is the Firm’s second operational base in the UAE after launching operations in Dubai in 2017. “We are in aggressive expansion mode in this key market. 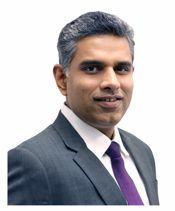 Mumbai / Dubai, 5 December 2018: ANAROCK Property Consultants today announced that sales & marketing veteran Shajai Jacob, previously Executive Director & Head – Marketing (West Asia) at international property consultancy JLL India, has been appointed as Chief Executive Officer – GCC (Middle East).